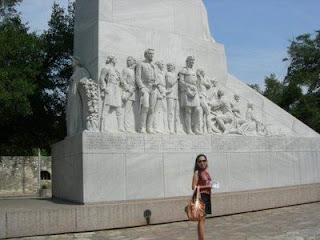 If you are interested to learn a little bit of a history lesson, you can go visit the Alamo for a walk around the luscious, meticulously groomed grounds. No photos are allowed inside, so better take photos outside the front doors before you go inside if you want keepsakes. This would be a long story to tell, so it would only be briefly summarized just to have a short background about the place. 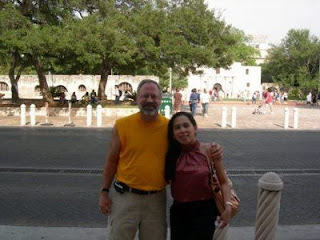 The Alamo in 1836 occupied grounds and buildings of former Mision San Antonio de Valero. Used as a military post since the early 1800’s, the Texians had barricaded openings and mounted at least 19 cannon before the 13-day siege. 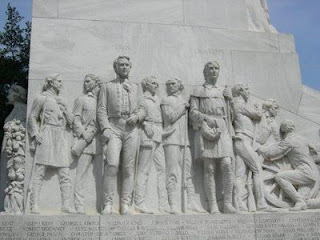 The final assault came before daybreak on the morning of March 6, 1836, as columns of Mexican soldiers emerged from the predawn darkness and headed for the Alamo’s walls. Cannon and small arms fire from inside the Alamo beat back several attacks. Regrouping, the Mexicans scaled the walls and rushed into the compound. Once inside, they turned captured cannon on the Long Barrack and church, blasting open the barricaded doors. The desperate struggle continued until the defenders were overwhelmed. 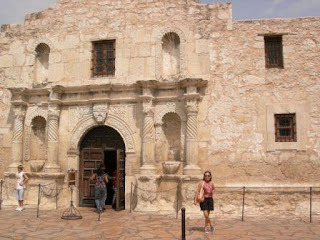 By sunrise, the battle had ended and Santa Anna entered the Alamo compound to survey the scene of his victory. While the facts surrounding the siege of the Alamo continue to be debated, there is no doubt about what the battle has come to symbolize. 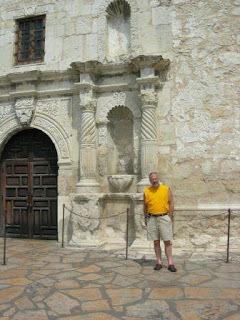 People worldwide continue to remember the Alamo as a heroic struggle against overwhelming odds-a place where men made the ultimate sacrifice for freedom. 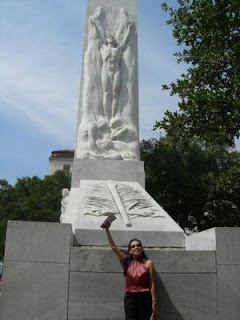 For this reason, the Alamo remains hallowed ground and the Shrine of Texas Liberty. How we wish we could stay longer. There are still some more to do, but we lack time. For sure, if we get the chance to go back, it will be more fun time memories to cherish!